On Wednesday (01/31/2018), five SCHS students attended the Arkansas District III Spring Leadership Conference in Pine Bluff, Arkansas. The students were accompanied by their local FBLA club sponsor, Mrs. Farrah McEntire. This was Mrs. McEntire’s first FBLA conference to be attended as a sponsor. Although this was her first time attending as a sponsor, she did a great job fulfilling her role as Star City’s new sponsor for the Future Business Leaders of America. 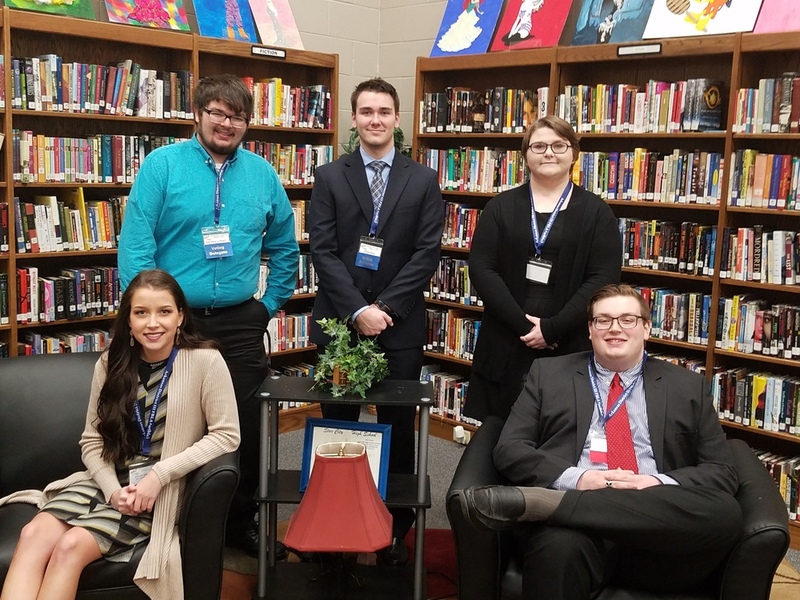 As for the students, four out of the five that attended placed within the top six students within their individual competitions for District III. Madelann Cash(12th Grade) placed fourth in “Impromptu Speaking”, which she competed in shortly after arriving at the conference. Jonathan Hibbard(12th Grade) placed fifth in “Economics”. Cade Phillips(12th Grade) placed second in “Computer Problem Solving”. Ethan White(12th Grade) placed fifth in “Business Calculations”. The students, other than Madelann Cash, competed in their competitions via online testing at SCHS shortly before the leadership conference. Because of the students’ placement in their competitions, those that attended the leadership conference have been invited to participate in the Arkansas State Leadership Conference in Little Rock, Arkansas. The state level conference will be held during April 9-10, 2018. Should the students advance at the state level conference, they will potentially be able to participate in the District III Middle Level Conference and possibly attend the National Leadership Conference in Baltimore, Maryland.